Don’t ask me why blogger put this big gap here, I can’t get rid of it – grrr! Annoyed – will be happy to move to WordPress ASAP – new site coming soon! Years ago I was watching Oprah as my six-year old son played nearby. She had a few teens on her show and was asking them questions about beauty and brains. One question was which they would prefer – beauty or brains – if they could only have one of them. I learn from odd moments and that was a turning point for me, I’ve tried to live more concerned about brains than beauty ever since. 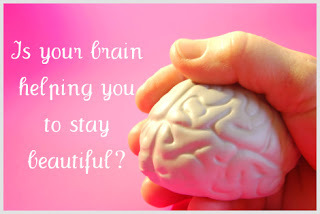 I don’t remember if Oprah defined what she meant by brains, but in this scenario, I thought of brains as wisdom and I would rather seek soul-deep wisdom than skin-deep beauty. But it isn’t totally an ‘either-or’ thing. Wisdom tells us there are some things we are responsible for concerning our own beauty – or lack thereof. Wisdom helps me see that what makes a person beautiful has more to do with attitude than looks. I only responsible to do the best I can – the best I can, not what supermodels do and/or look like. (can you say airbrushing!) My best is what’s best for me and my health – am I eating foods that nourish me or just give me empty calories? Am I moving enough – because what I don’t use, I lose. So as for beauty – focus on wisdom more, but know that we are responsible for some aspects of our own beauty, but life’s too short to allow things we can’t control to ruin our days. These are some of my thoughts on beauty – Sarah Markley has encouraged her readers to write posts about beauty, so click on the button below to read more. Amen, Janet. You might be surprised at how much this applies to the guys, too. Wisdom rather than beauty. And i think wisdom brings beauty, doesn't it? Sarah – yes, I think wisdom brings true beauty, beauty that doesn't fade. Here from Sarah's beauty link list! "life's too short to allow things we can't control to ruin our days." SO true.